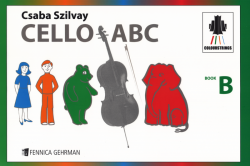 The first book in the Colourstrings Cello ABC approach. The second book in the Colourstrings Cello ABC approach. 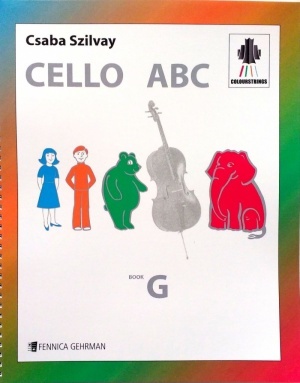 The third book in the Colourstrings Cello ABC approach. Many of the songs are notated so that they may be played as a duo with the teacher or another student. 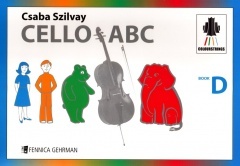 The fourth book in the Colourstrings Cello ABC approach. With a few exceptions, the songs in this book are introduced in positions where the melody can be played with natural harmonics. Many of the songs are notated so that they may be played as a duo with the teacher or another student. 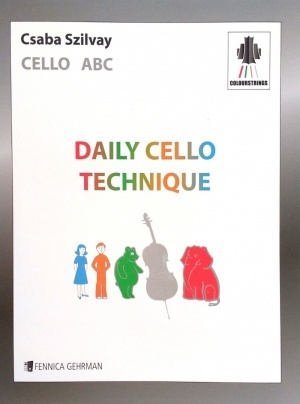 The Daily Cello exercises complements the Colourstrings Cello ABC methods. The exercises are for bowing, fingers, shifting, intonation, scales, moders, tone quality, vibrato, harmonics, transformation, whole tone scale, distance scale, chromatic scale and the alternative positions for the same pitch. One bar, one page, one lesson. 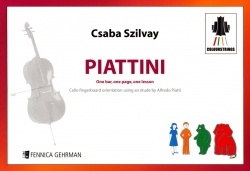 Cello fingerboard orientation using an etude by Alfredo Piatti. The first book of Cello Scales for Children. 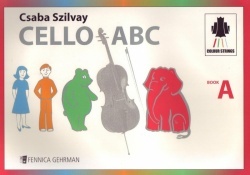 The second book of Cello Scales for Children.